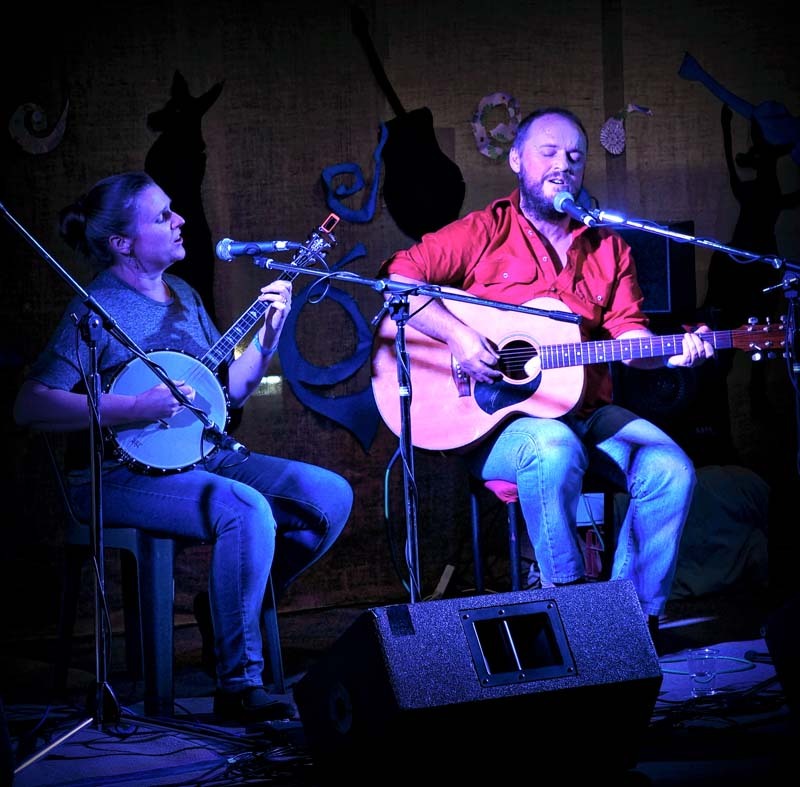 Chloe and Jason have been researching and presenting the living tradition of Australian music for over 20 years. Drawing their inspiration from the warmth of old-style bush entertainment and folklore, the Roweths work with vibrant arrangements of new and old traditional Australian ballads and work songs, early country music, original music, poetry, yarns, and dance tunes weaving together and carrying forward diverse threads of the Australian tradition. Chloe and Jason Roweth carry in a swag of chorus songs. Old and new, depth and breadth, humour, hardship, and bush struggles for a ‘fair go’ will shine through. Bring your voices!